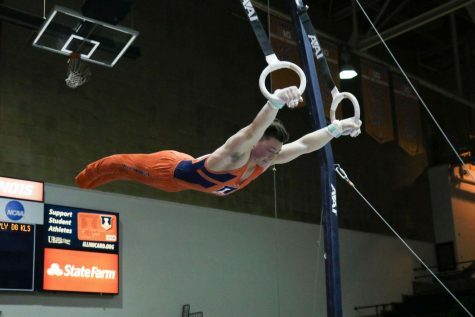 The Illinois men’s gymnastics team went to Norman, Oklahoma, to face the No. 1 Sooners this weekend. 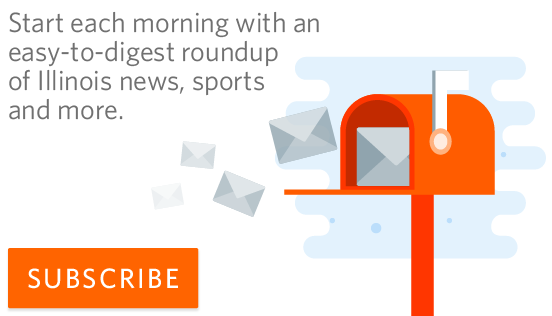 While the No. 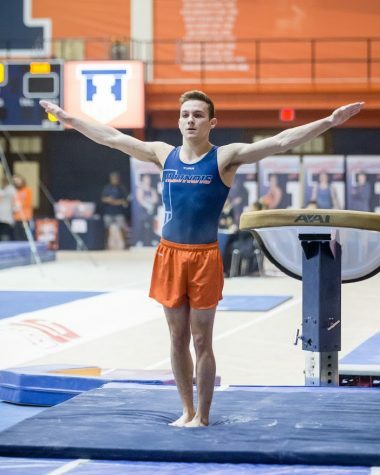 4 Illini were coming off two quality wins over the Golden Gophers and the Cardinals, the team could not continue their win streak and dropped the meet to the Sooners 415.7-425.7. Even though the deficit ended larger than previous meets, it was not a disappointing performance for the squad. 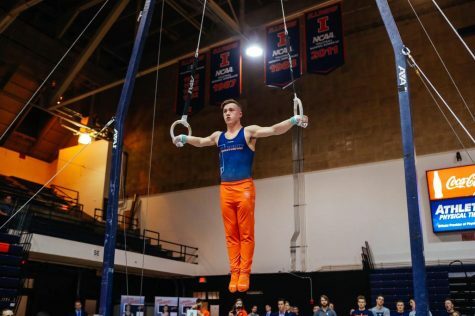 The Illini scored a season-high in points, and head coach Justin Spring was happy with the team’s overall performance. 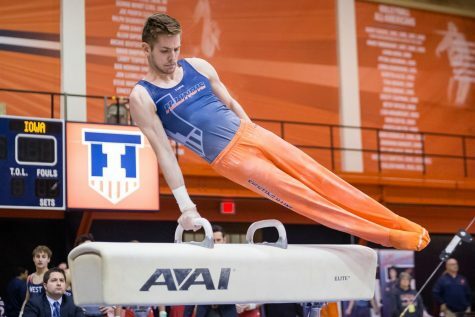 The Illini were led by senior Alex Diab, who continues to show why the team values him meet after meet. 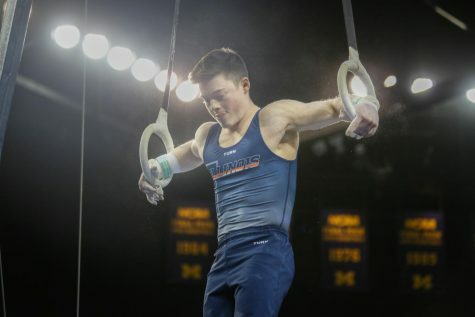 Diab won his sixth event title in a row, putting up a 14.8 on the rings. The Illini needed every bit of it. 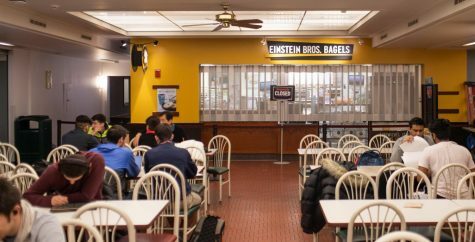 The rest of the team struggled on rings, and the next five highest scores were all Sooners, with an averaged score of 14.35. 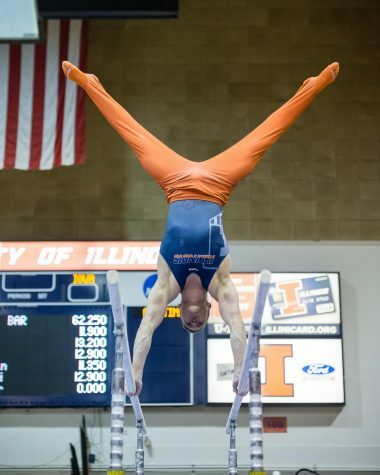 For the Illini, the combination of Johnny Jacobson, Max Diab, Jacob Light and Joel Diaz produced an average of 13.15. Even with the disappointing output, Alex is not worried. 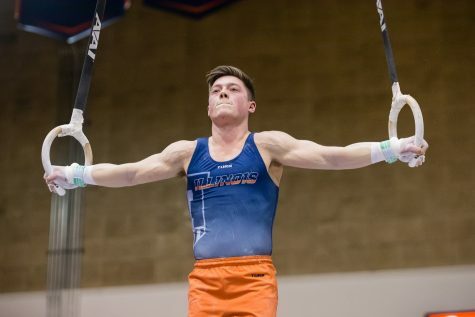 The Illini were also led by another impressive performance by junior Michael Paradise. 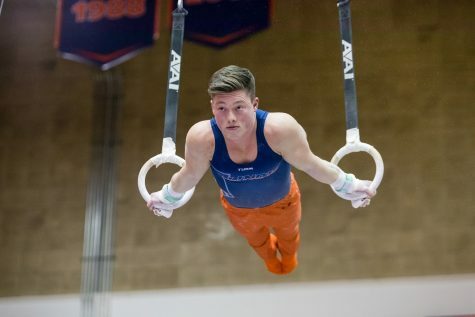 He won another title on the pommel horse, and just like Alex, it was Paradise’s sixth straight event title. 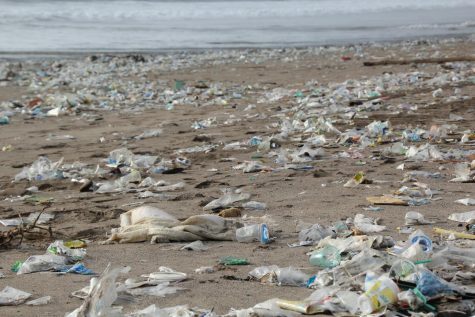 Paradise put up impressive numbers on one of the hardest events, and it may have helped result in the late-season success. 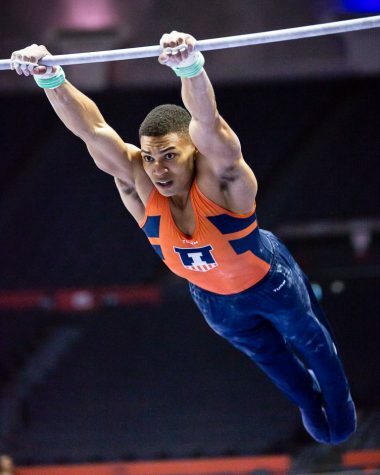 The Illini were neck-and-neck with the Sooners in most events, but they fell apart when the parallel bars and rings came up. 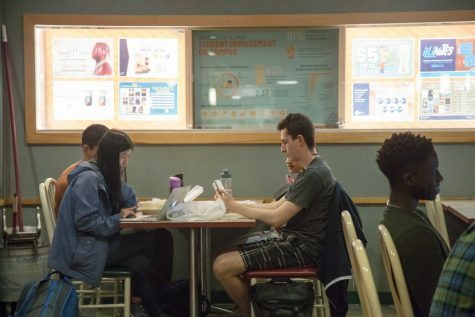 In those two events, the Illini lost by a combined 7.35 points. 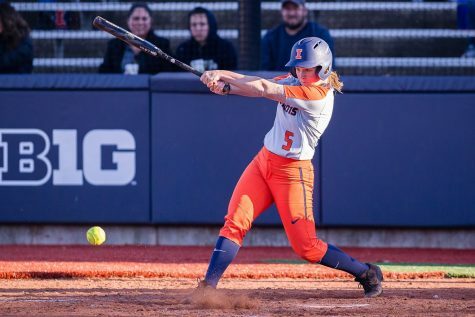 Even though Illinois once again lost to defending champion Oklahoma, Spring is very optimistic about a potential rematch in April. “It’s going to be a very different matchup in April when they come into our house,” Spring said. 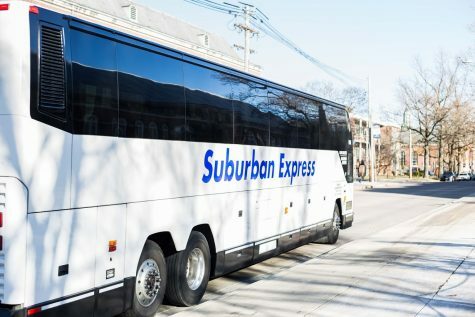 The Illini will next go up to University Park, Pennsylvania, on Saturday to face the Penn State Nittany Lions and the Michigan Wolverines.